When planning a Disneyland vacation you can always learn a lot from the locals. Many of us visit Disneyland once a week and never spend a dime. Here is a detailed list of how I save money and how you can too. I don’t pay to park at Disney. I catch a ride with a friend or family member who’s working at Disneyland that day. I get dropped off and then they can go park in the parking lot for free. Consider staying at a good neighbor hotel within walking distance. Most of the good neighbor hotels offer a free shuttle buses which means you won’t worry about parking. Using Lyft or Uber is another option. If you stay close enough to Disneyland, you do not need a rental car. With public transportation, hotel shuttles, and ride sharing you can get anywhere. Without paying for parking. I carry my own drinks and snacks. People ask me how I can go to Disneyland every week and not spend any money. When I answer they say it’s too hard to bring food if I’m here on vacation and staying in a hotel. Since so many hotels offer ice machines and mini fridges it is possible. You do not need a huge cooler. Even an insulted lunch bag can work. Make sure you book a room at a hotel that offers a free breakfast. If you eat a big enough breakfast, you can eat a snack at lunch and eat sandwiches for dinner. You can bring food that does not need refrigeration like bagels and fresh fruit. Instacart delivers in one hour for Ralphs. You can order food in the mornings and pack it in ice right away. Delivery and tip aside ordering food is still much cheaper than buying Disneyland food. A soft cooler is light and portable. Lunch bag size coolers can be carried comfortably. I always put in a few sodas, pouches of applesauce, and protein bars for snacks. Meal replacement bars or protein bars are perfect for Disneyland. If you don’t want to carry a big bag, they could fit in the fanny pack or a pocket. I prefer to bring Uncrustable sandwiches because they have to thaw out before you eat them. That means if you don’t want to carry a cooler with you the sandwiches will keep. You could order fresh fruit and sandwiches and bring them with you. Lunchables also keep well. Ralphs Delivery offers pre cut fruits and veggies. It is possible to eat healthy and frugally while at Disney without dining at a restaurant. I don’t buy merchandise. I avoid the shops. The less time you spend in gift shops the less likely you are to buy anything. Many wonderful tutorials are the Internet on how to make your own Minnie Mouse Ears. Many are no sew. You can purchase a Disney T-shirt before your trip and bring it with you. Disneyland has plenty of free items throughout the park you could take as a souvenir. My post here will tell you where you can find these items. The easiest way to save money is not to buy any souvenirs. I also recommend if you have children to plan. Check the prices at the Disney Store online. They also sell official park merchandise online. Check eBay to see if you can get items at a discount. Tell your kids Tinker Bell will leave them a special treat every night if they do not ask for anything. Then you can leave pre-purchased gifts for them to find in the morning. I do not pay for tickets. I have an annual passport. If you visit Disneyland enough times a year, a passport may be cheaper than tickets. If you are local and you only come a couple times a year, think about getting an annual passport. Annual pass holders get a discount on food and merchandise. If I run out of drinks I go to the counter service restaurants and I ask for a water cup. I don’t buy bottled water either. There’s no need. There are many water fountains and the counter service restaurants give you a water cup for free. I also carry gum with me. Gum is great if your mouth is a little dry. What are you to do if you get hungry and you’ve run out of food? The cheapest thing is to get a Mickey Mouse pretzel. Mickey Mouse pretzels are denser and filling. Churros are cheap but not as filling. Another option is to go to California Adventure visit the Boudain bread bakery and get a loaf of bread. Or a free sample if they are handing them out. A sourdough round is $5.19 at the Pacific Wharf. Larger variations are available depending on the season all loafs are under $10. We have bought bread and nibbled all day to avoid buying food. This a horrible tip. Most of us pass holder moms are guilty of doing this at least once. We look for an abandoned rental strollers and use one if we forgot to bring our own. A lot of the time people leave their discarded strollers between the parks. You can tell but someone abandoned a stroller when they’ve removed their name tag from the stroller. Sometimes the stroller has garbage in it. But if a stroller is empty and left between the parks they have discarded the stroller. A lot of moms do this so don’t feel bad if you need a stroller. Go check between the parks. If you don’t want to spend any money at Disneyland don’t buy food and drinks. Don’t buy any souvenirs either. These two tactics can save a lot of money. Also use a travel agent. They want to save you money and they can get you some amazing deals. My Friend Rebecca the Pixie Dusted Planner is a real sweetheart. 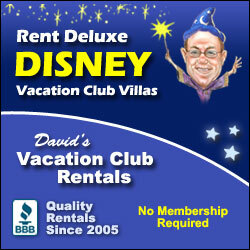 I also recommend Davids Vacation Club Rental. There is a reason I am an affiliate for them. You can book an amazing Disney Vacation Club room for less. To save money pack your own food. You don’t have to have a rental car or a big fridge in your room to bring your own food. Thank you Instacart. Domino’s Hot Spots delivers near hotels and Little Ceasars has cheap pizzas that Postmates can deliver. In all honesty food is our number one cost when we come to Disney. It is hard to pass up the food. If you do your wallet and waistline will thank you.